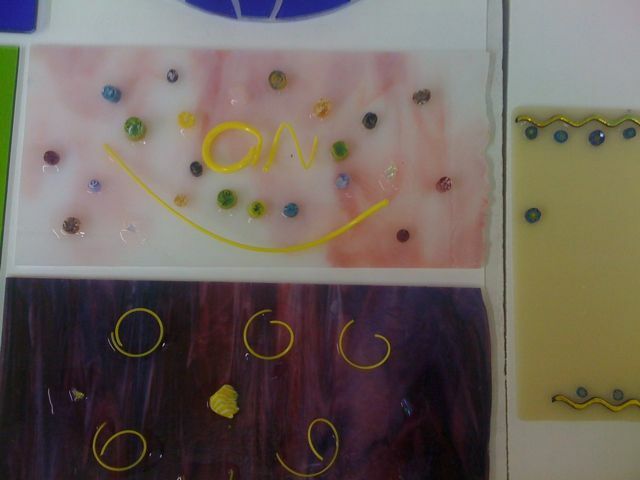 Trent & I are exploring Glass Fusing. He’s been learning the art casually for about a year (since he was 6). 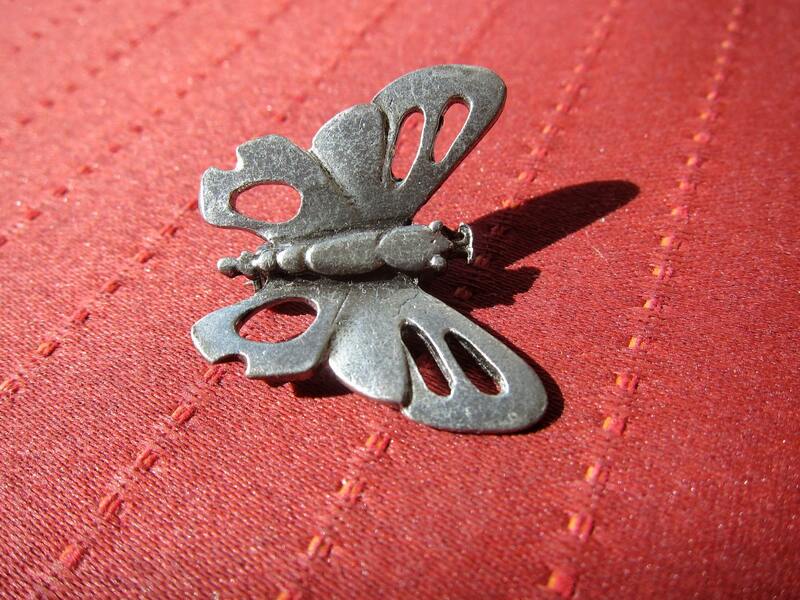 In December we took an adult class and made some truly beautiful pieces. In fact Trent entered one in the National Arts Program competition and has won an award/scholarship. 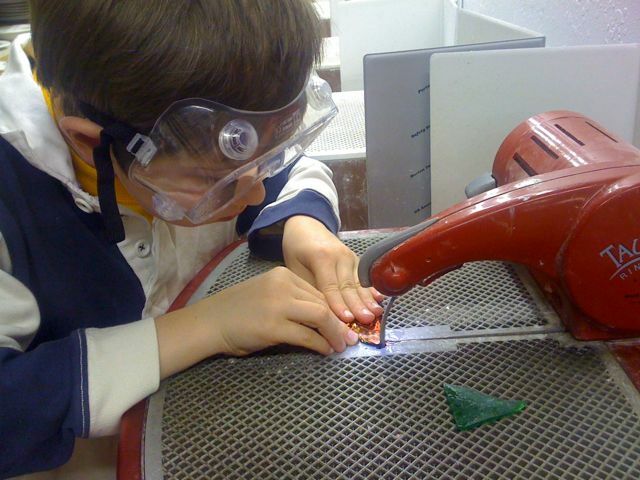 I had taken both Stained Glass and Glass Fusing classes before he was born. The teacher was offering a class this semester at the JC so I contacted her asking if it would work if I too her class with my 7.5yr old. Turns out the JC won’t even consider enrolling a child under 13 even though the teacher is fine with it. The good news is that the teacher has another class and offered us the opportunity to join in her workshop. I think the most dramatic thing is that Trent is only child in the classes we are taking. 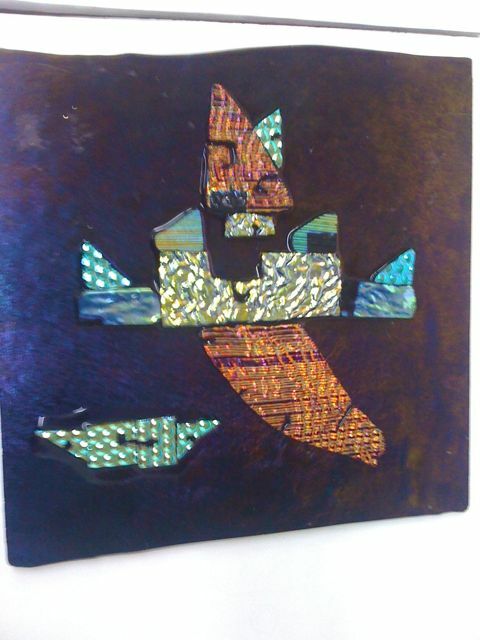 Glass Fusing takes some respect for the sharp edges and safety precautions but generally it’s not a dangerous art. Glass tends to be expensive though, so you have to be prepared to invest money in your work. Now for the exciting part. 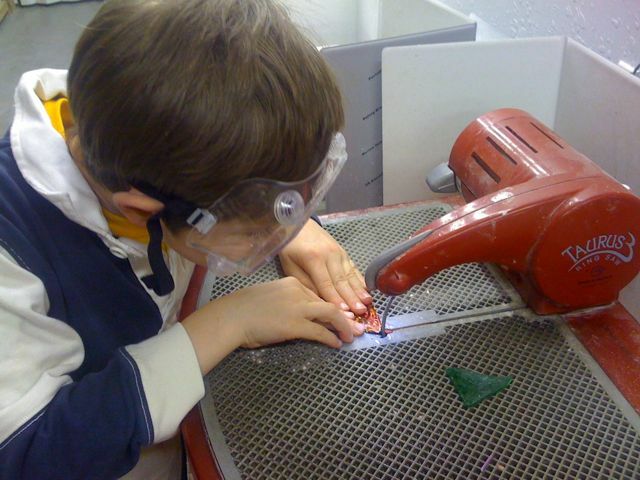 This new workshop space has a diamond saw (which Trent had the best time experimenting with. Plus during every workshop they pull glass which streams molten out of an upside down kiln. 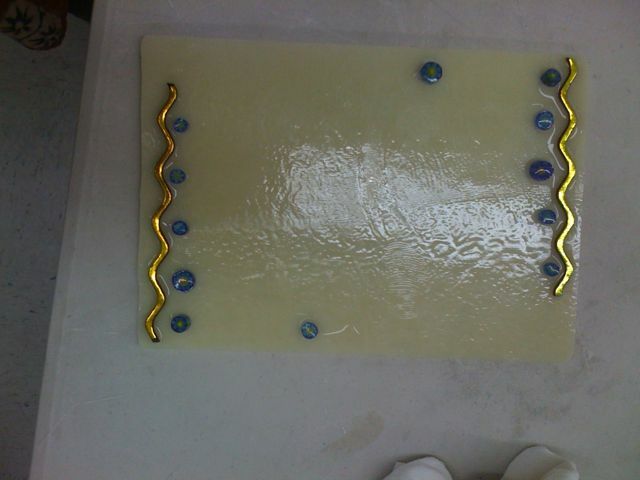 You can pull and rough shape it with pliers and even wrap it around to make coils. Coolest Thing Ever. We also saw how mica paint works and played with copper tape. 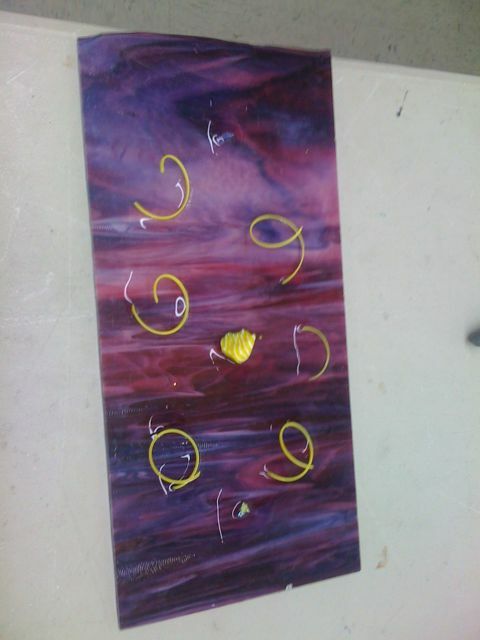 The other adults in this workshop are artists. There’s lots of exploration going on all around. It’s such a great environment to work with people who are trying things out – experimenting. It makes me realized how important it is not to ‘teach art’ as much as lay the ground for trying new things and making mistakes. It makes me take a second look at other classes we take. How energizing for us both. Next > The Wind has Shifted… The Search is on.